Chief Executive Officer of Uber Dara Khosrowshahi has said that the giant international ride-sharing company plans to further expand its services in the Egyptian market. Khosrowshahi made the comments during a Wednesday meeting with Egyptian Prime Minister Moustafa Madbouly on the sidelines of the Davos Economic Forum, which was attended by Egypt's Minister of Investment and International Cooperation Sahar Nasr. The Uber CEO said that his company has provided employment to 200,000 people in Egypt and offers easy and affordable transportation to millions of Egyptian citizens. The CEO said that Uber regards Egypt as a hub for its services in the Middle East, noting that the company has invested $100 million in establishing a customer service center in the country to serve its customers in Africa and the Middle East. Khosrowshahi also highlighted the company’s launch of a new service, Uber Bus, in Cairo recently, which he said will provide affordable transportation to millions of Egyptians by using Uber’s technology to enhance the popular minibus system. The CEO asserted the company’s commitment to broadening access to Uber’s services with a range of low-cost options that will help customers in their transportation needs and help cities tackle congestion. Prime Minister Madbouly praised Uber’s work in Egypt, saying that the company’s services in the congested city of Cairo have been a model of efficiency and competence, urging the company to make its Uber Bus service available to passengers travelling to the New Administrative Capital some 40km east of Cairo. 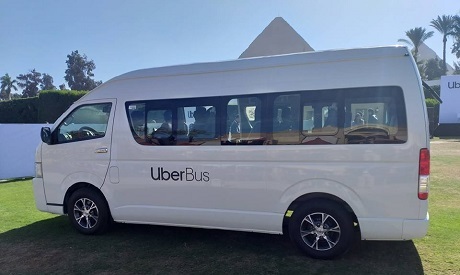 In December, Uber launched its minibus service in Cairo, the first city globally to be rolling out the new service, which aims to target lower-income passengers.